If there’s one thing Tove and I have been itching to do since we both moved back to Seattle, it’s Chihuly Garden and Glass at Seattle Center. Just like everyone that walks by, we’ve stood on our tip-toes and looked through the bushes to see as much as we can. Thanks to an invite for a special event there recently, we finally had a chance to get inside and also eat at the exhibition’s Collections Cafe. 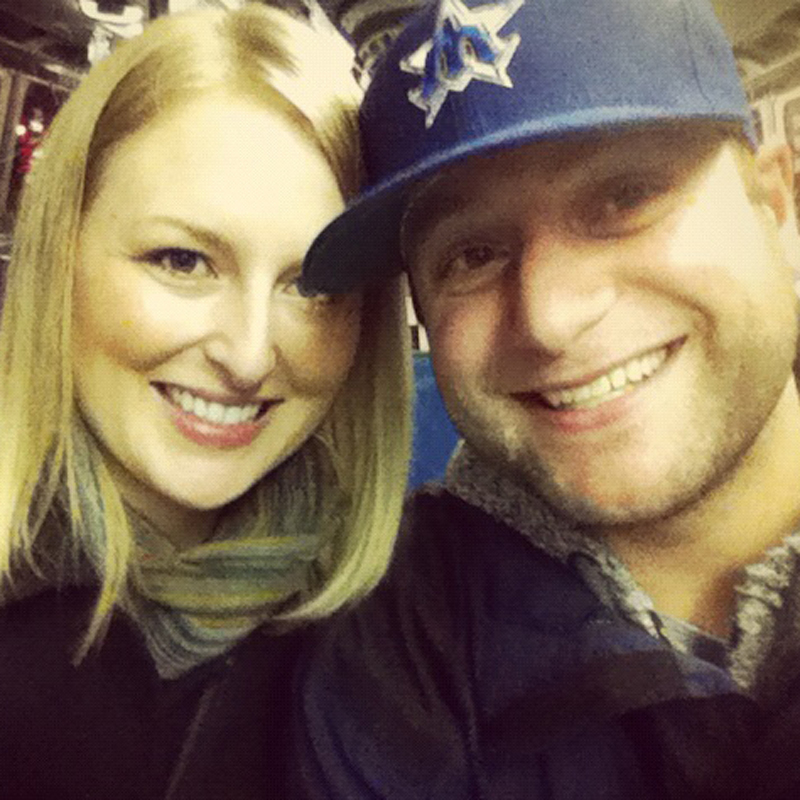 It turned out to be an awesome night, so that’s why it’s the latest installment of It’s a Date! We suggest starting your Chihuly Garden and Glass date night at the exhibition itself. The museum shows off the artwork of Dale Chihuly throughout every stage of his distinguished glass blowing career. Take a walk through the exhibition hall, glasshouse, and the outdoor garden (which sits at the foot of the Space Needle — the one you’re always trying to peek into). 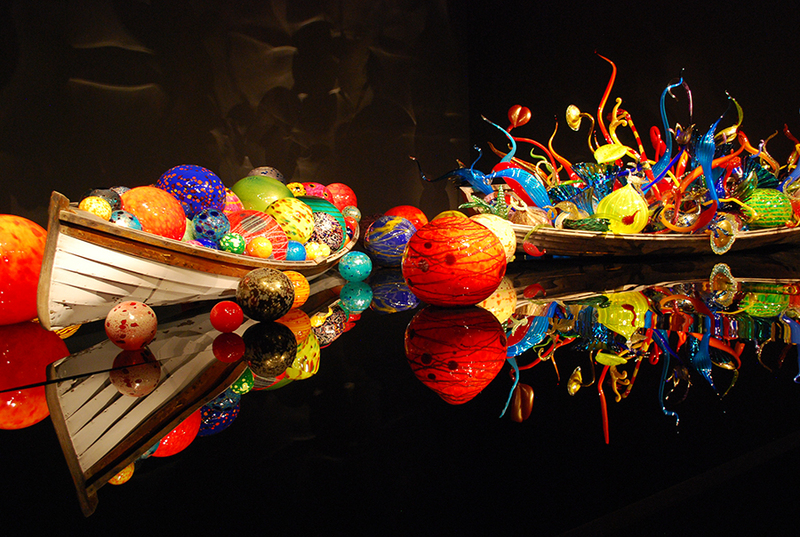 A native to Tacoma, many of Chihuly’s masterpieces are inspired by his Northwest roots. With bright colors and incredible designs, a stroll through the exhibit just might blow your mind. NOTE: You can enjoy the Chihuly Garden and Glass date night during the day or at night, but everyone we talked to (including one of the museum’s executives) recommended visiting the exhibit at night. We were there at night and it was absolutely amazing. Since the Collections Cafe doesn’t have a set closing time, we suggest heading there after touring the Chihuly Garden and Glass exhibition. When I think of museum food, I think of pre-wrapped sandwiches and dry pastries. The Collections Cafe offers MUCH more than that. 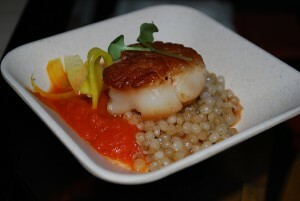 The restaurant’s menu takes inspiration from Chihuly’s travels around the world and adds a Northwest twist. From Red Onion Ravioli (spring onion pistou, red watercress salad, hazelnut vinaigrette) to The Burger (red onion jam, bacon, Beecher’s Marco Polo cheese, Peppadew aioli — we hear this is Chihuly’s personal favorite), there are delicious options for everyone. We tried several small bites while we were there, including seared scallops, grilled hanger steak, Jidori chicken, and fried oysters (our favorite). 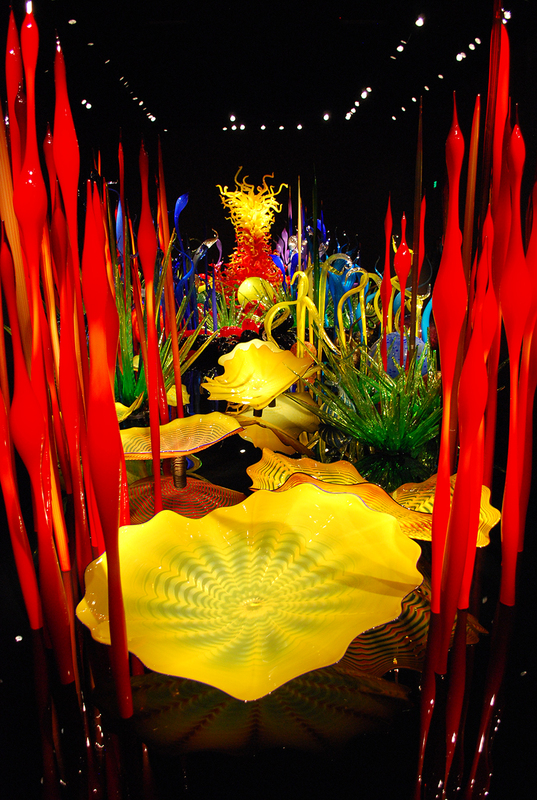 Have you ever visited Chihuly Garden and Glass? How about the Collections Cafe? We’d love to hear from you! Please leave a comment below or connect with us on Twitter, Facebook, and Google+. 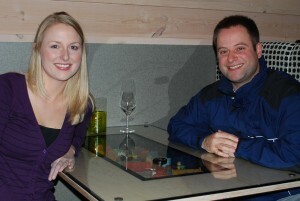 Don’t forget to also check out Seattle Bloggers for more It’s a Date! ideas and much more.